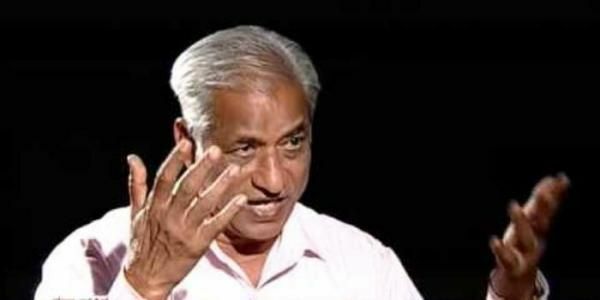 Mangalore Police has registered an FIR against rationalist leader KS Bhagwan for hurting religious sentiments. Recently, Bhagwan had allegedly received 20 threat calls from someone at the Sahitya Academy office in Bengaluru. The complaint was made by a resident of Upinangady area in Mangalore, Shyam, who alleged that Bhagwan's speech at Gandhi Bhavan in Bengaluru had hurt the sentiments of Hindus. Sahitya Akademi has planned to felicitate him with an award on 7 November. However, the suspect who made threat calls was against Bhagwan receiving a Karnataka Sahitya Akademi award. Another rationalist leader and former Vice Chancellor of Hampi University was murdered in his home in Dharwad in August.